Sweet Potato Vegetable Pizza Salad is yummy and healthy. This is Sweet Potato Vegetable Pizza Salad, a combination of two, great, healthy dishes. 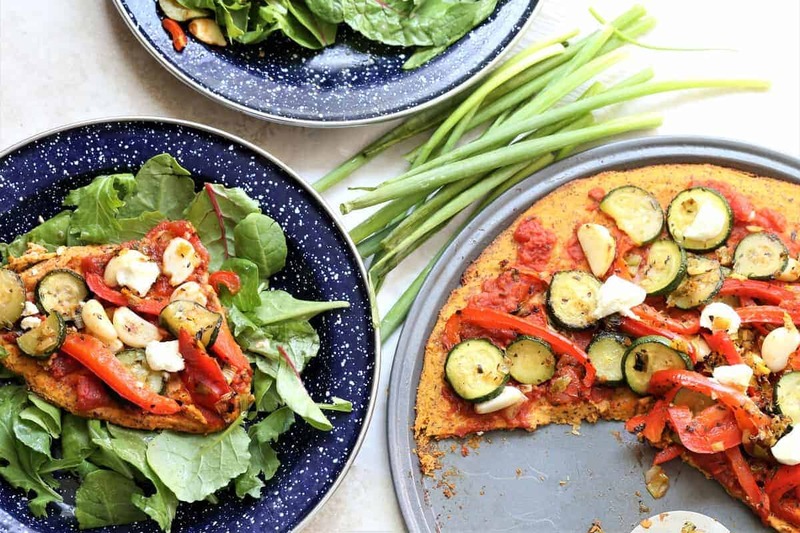 You must try this yummy, vegan, gluten free and dairy free vegetable pizza salad because, seriously, what could be better than pizza? Pizza Salad, of course! 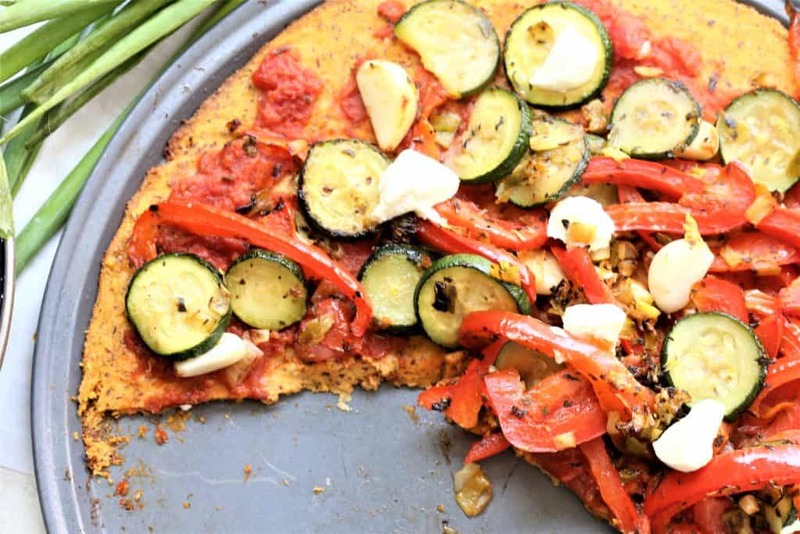 Gone are the days of preservative, chemical filled, doughy, gluten, greasy pizza. 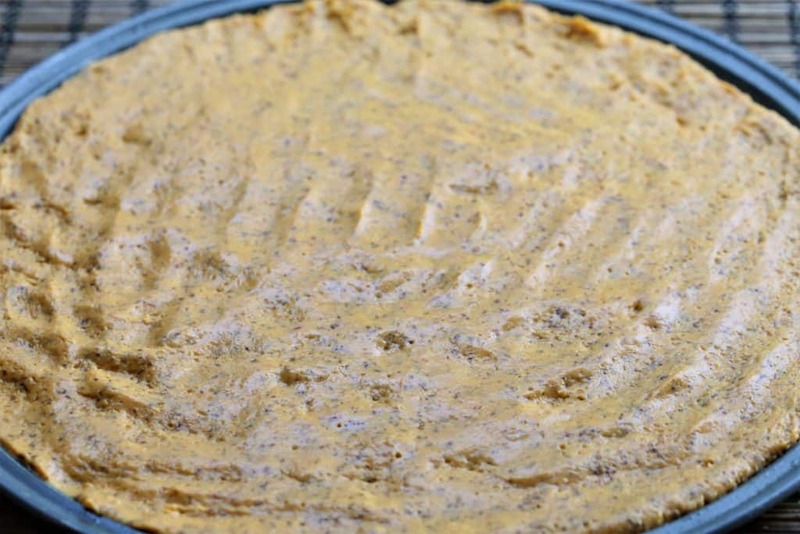 Here, by using nutrient rich sweet potatoes, ground flax and garlic, you can create a delicious, nutritious, crust. 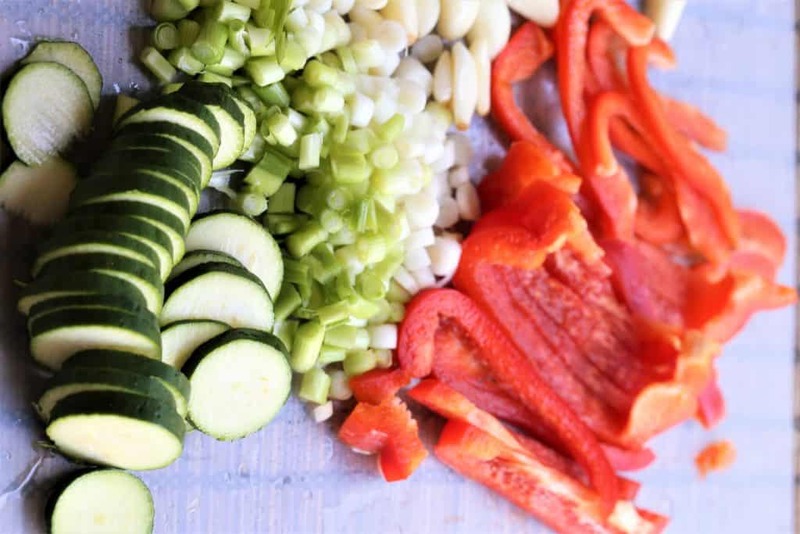 Top the crust with all of the colorful vegetables that you have on hand, and serve with your power green salad. This pizza salad creation has both goodness and greatness. Pizza. Healthy, and delicious. Vegan, gluten free, dairy free. 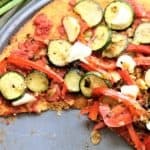 While pizza crust is baking, add sea salt and Italian seasoning, and stirfry red pepper, garlic, onions and zucchini on high for 5 minutes. 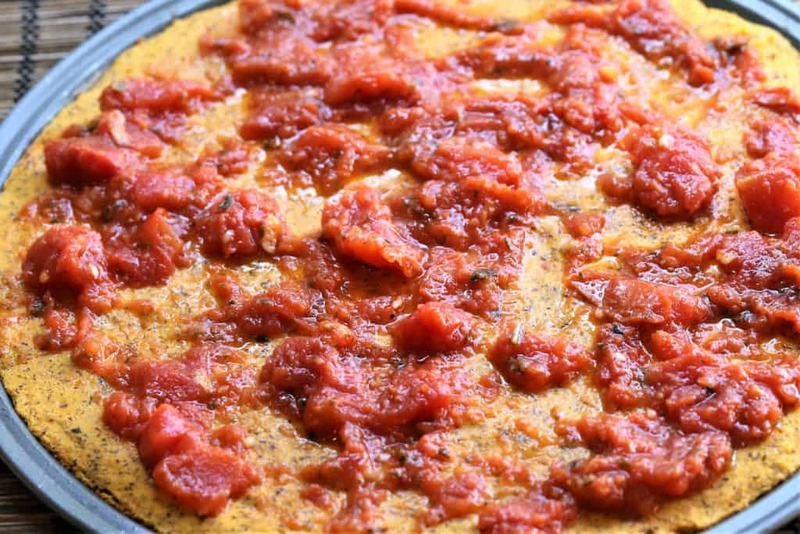 Bake pizza for an additional 10-15 minutes until toppings are done. Serve on top of bed of power greens which have been mixed with balsamic dressing.